Car Key Services in Phoenix Arizona! Are you familiar with who you need to call in the event that you lose your Buick car keys? You may not have to go through very much difficulties to replace your car key if using our support. Our technicians are definitely the most professional Buick key replacing pros in Phoenix AZ. Nothing can be unfortunate as getting locked out of your car or losing the car keys in a place where it is practically irrecoverable. But, you don’t have to worry about spending the night in the middle of a desert or wandering about hopelessly in search of someone who may be able to help because there are service providers who offer a variety of replacement keys. 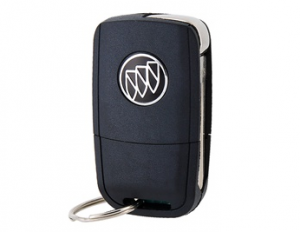 If you are looking for a replacement for your Buick car keys, then know that AZ Car Keys are only a call away. 1. Master keys: Even though the concept of master keys have become slightly outdated and is not used in the context of automobiles, having a replacement for a master key can save your life. Even though official master keys are not available for cars, you can get one manufactured by giving security information to the locksmith taken from the central database. Locksmiths can also program a replacement in case your car key went missing. 2. Responder keys: Reprogramming a responder key requires specialized expertise and skills and by no way is an easy task by any stretch of the imagination. This sort of car key has an electronically coded and embedded microchip into the keys plastic body. This code is essential for making the Buick car to detect key insertion, which will let you start the engine. If this key malfunctions for any reason or is misplaced, then you would need the help of professional service to reprogram the immobilizer control in order to match with the key structure with the newly preprogrammed code. 3. Rolling code keys: First introduced in 1999, rolling code keys have become a standard feature in most brands that include Buick. This is a unique key type that generates a new code every time the car keys are used. What separates it from Responder keys that it generates a new code every time whereas Responder keys have a single code. Replacing a key that changes codes is tough but not impossible, and may take up to $ 500 depending upon the area and urgency. 4. Trunk lockout key: As the name implies, this is a key that one would need to open the trunk of the car. If you have misplaced your trunk keys anywhere, then the locksmith will be able to prepare one for you in a short amount of time. These keys are not difficult to make and can usually be done within an hour or so. 5. Ignition repair: Not all problems can be solved by changing the keys of your car. A broken ignition is a problem that would require a far better mastery of repairing rather than making another key. By fixing the ignition, your existing keys will start to function as it usually does. • Stolen from, workplaces, offices, gym lockers, changing rooms, etc. Leaving aside the main types of car keys, there are some other services you can avail if you ever find yourself stranded in a place because of malfunctioning keys are broken ignition. These are services for lockout, lost keys replacement, chips keys cut, ignition rekeys, repair of worn out or broken keys, high-security key reprogram, and security keys cut. It doesn’t matter which model of Buick you drive, whether it is an Enclave, Skylark, Riviera, Park Avenue, Regal, or any other, you can stay assured that you will find exactly the key you’re looking for your Buick vehicle. So rest easy and know that help is always around if you are ever in need. Call AZ Car Keys For Car Key Replacement Today! I lost my car keys at the river and needed to get to work the next day. Luckily these guys arrived in less than 30 minutes and replaced my car keys right on the spot.